A lot of people think that going to the beach or paying a trip to a costal town should be something that we do in the summer months. However for me, I love visiting costal towns all year around. Every December I go to see my grandfather who is now retired to the coast as he loves the idea of a relaxed beach life. 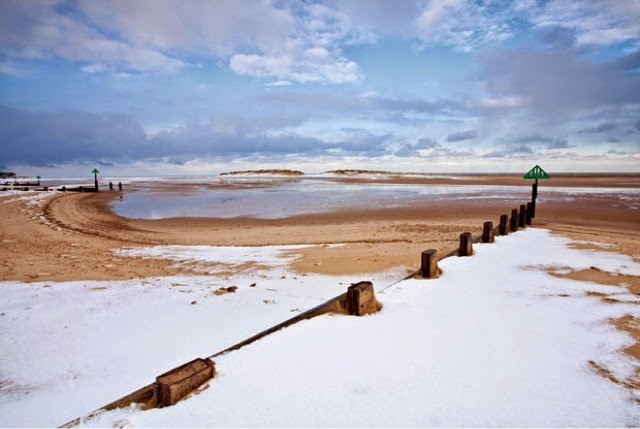 So when the guys over at Park Resorts* asked me about my favourite costal towns, I thought I would share some wonderful winter costal towns to visit in the UK. You can't beat the beautiful beaches of Devon and Bideford Bay is just one of the many places that I would suggest paying a visit to. From beautiful cliffs and woodlands, you can spot beautiful wildlife or simple sit back, relax and admire the views. Bideford Bay is actually apart of the wonderful National Trust. Located on the east coast of the UK, Great Yarmouth is a classic seaside town that has a stretch of golden sandy beaches for people to explore. I once went here on a family holiday as a child and it was so relaxed - especially around the California Cliffs area. Wales has to be one of the most beautiful places and beaches that I have ever visited. A few summers ago we drove through the beautiful Welsh valleys and to the beaches around Aberystwyth. Carmarthen Bay is just another beautiful location that Wales has to offer - with never ending idyllic beaches it said to also be the birth place to Merlin the wizard.